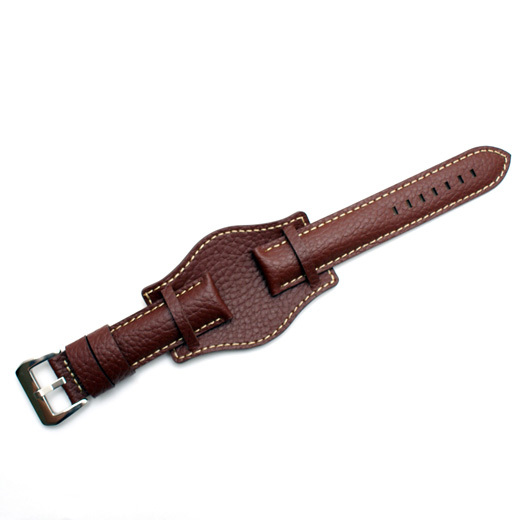 This matt brown grained leather watch strap is designed for pilot or aviator style watches. 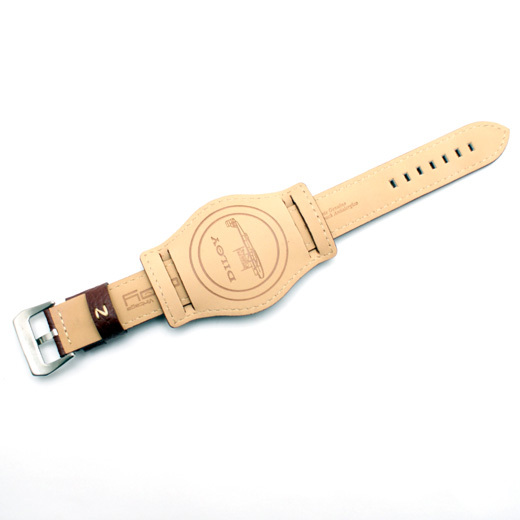 It has a large pad that the watch sits over plus soft nubuck lining and rice coloured detail stitching. The strap can also be worn without the pad as the strap parts are not stitched in. It is from the Diloy Vintage Range, is designed to mimic a vintage or aged strap and may therefore have some dents or marks on it when it arrives, as you may see in the photographs, and will develop crease marks when it is bent.